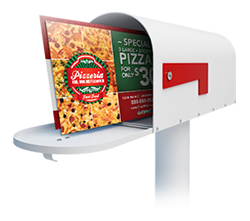 Are you only using direct mail or postcards for your marketing? Are you spending lots of money on printing, stamps, and other mailing expenses? To have a more balanced approach to marketing, think about mixing it up with not only the physical mailers to your potential customers, but also email marketing. Below are some reasons that email marketing can benefit your business and help you reach an untapped portion of your target market. Email marketing is a very affordable alternative to the traditional direct mail marketing. Often, email marketing can be free and email addresses of your customers can be easy to come by. You can run promotions on your site that allow you to collect lots of emails of interested parties. By simply having a place on your website to sign up for updates from your company, potential customers will give you their information and you can then email them for free, which is much cheaper than printing, stamps, and other mailing costs. Another great benefit to email marketing is that you can send many emails to your customers or potential customers at a greater frequency and more rapidly than you can design, stamp, and mail a new direct mailer. Also, your ads will always be relevant and because email is usually checked on a daily basis, so you can ensure that your customers read your information when you want them to, not days later when they may check their physical mailbox. Your relevant and timely emails will land in the hands of your target market just in time for them to act and take advantage of your timely offer. Who can accurately anticipate what is going to be most relevant or attractive to a potential customer? Mixing up your approach and sending messages to potential customers via lots of media can help you ensure that your message is heard. Therefore, you should try all approaches to marketing media. Use all types of advertisements. If you have a promotion, advertise it in many ways, not just by direct mail or email marketing. Mixing it up will ensure that you send lots of information into the market, and that it will likely be absorbed by some new customers. Email marketing is a great way to reach customers, but should not be the only way. 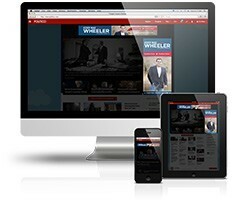 Continue to employ the methods that you currently use, but add in some new media to mix it up.